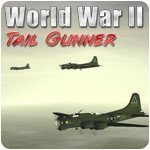 WW2 Tail Gunner - Free PC Games at Download-Free-Games.com! Take on the role of a WW2 gunner for a rollicking shoot-em-up adventure! 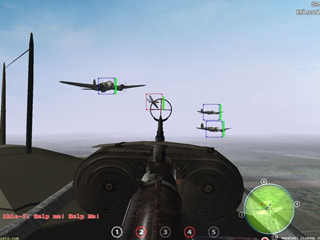 WW2 Tail Gunner is an arcade shooter in which you take the role of a gunner on a B17 Flying Fortress bomber for USAF or a He-111 bomber for Luftwaffe. 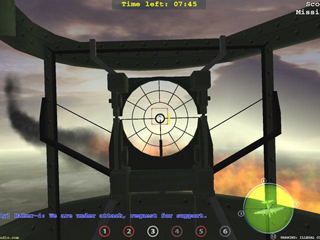 The game begins with you already in the air and ready to shoot down the bandits who are trying to bring your bomber down. Enemy fighters will attack your bomber from all sides. Your job is to switch around all available gun positions in the plane (there are six for B-17 and five for the He-111) and try to shoot these bad boys down. You're on your own in the thrilling shoot-em-up adventure. With 30 missions for each side (60 in total), do you think you're up to the challenge? Download the game now and show 'em what you got.